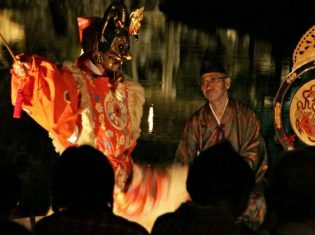 Hikone's Lively Castle Town Market is held from the beginning of the Hikone Castle Cherry Blossom Festival until Golden Week holidays in early May. 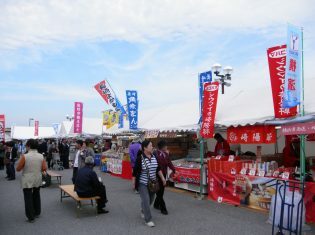 Many Hikone specialities will be on sale at this particular event, including Omi Beef, and varieties of fish unique to Lake Biwa, served simmered in soy sauce and other ingredients. 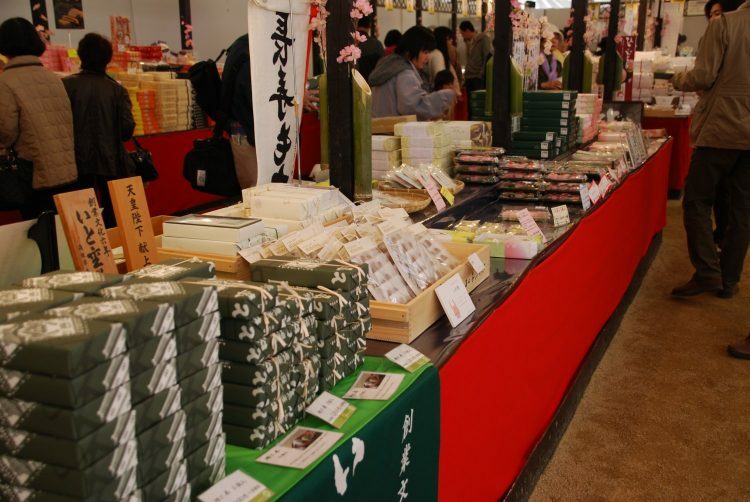 Additionally, Japanese sweets, pickled vegetables, local sake, "Hikonyan" (Hikone's samurai cat mascot) goods, and still more "Made in Hikone" items await you at the stalls! 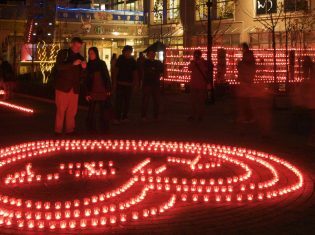 It's a full line-up of local goods and bento boxed lunches for cherry blossom-viewing. Come by the market space after you've visited the castle in full bloom, and find yourself a special Hikone souvenir. 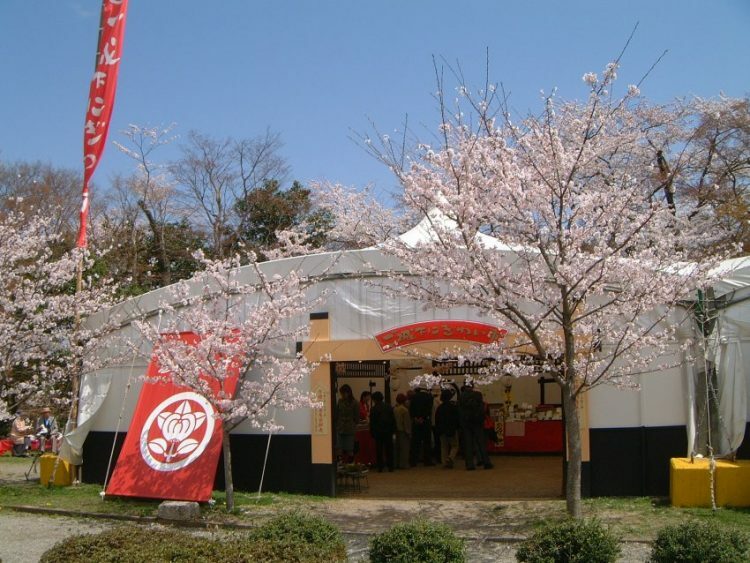 A special tent is set up for this event every year during the cherry blossom season. Bento boxed lunches will also be on sale, and perfect for eating leisurely under the trees.